In Part 2 of the Sector 9 AZ Trip meet the crew and get a look into how 15 guys travel across the desert. Fast skating in some of the most picturesque landscapes Arizona has to offer combined with 3 days of antics and pranks, you get a dirty motorhome… we still can’t believe we didn’t get fined. 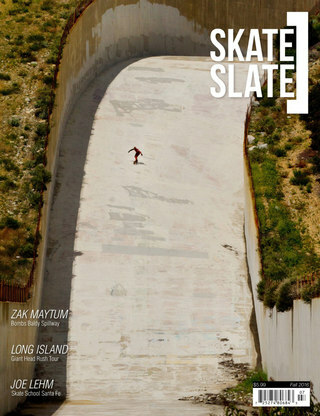 Check out issue 25 of Skate Slate Longboarding Magazine to see Jon Huey’s article on the #S9PhatAZtour and be sure to peep the Skate[Slate].com exclusive photo series on the S9 AZ trip thanks to Jon Huey as well! Born in Vancouver, Les has been backpacking and adventuring around the globe most of his life. Skateboarding made it easier to get around, eventually leading to a long trek skate adventure across Kenya. With a new appreciation for skateboards and some good connections, Les dropped everything to make skateboarding his life and, as they say, it's all been downhill since. Now Editor at Skate[Slate] and one of the owners of Flatspot Longboards, Les spends the rest of his time raising his first kid, plugged into the skate-web, and skating with Coast Longboarding. Kebbek pro Swedish rider Isac Printz just landed in Montreal! We got him fresh bagels, went to local markets, played with street trash and did some skateboarding with Emma Daigle. Search by region, brand, rider, etc. Copyright 2019 © Skate[Slate] TV All rights reserved. Don't miss the fun! Sign-up now!